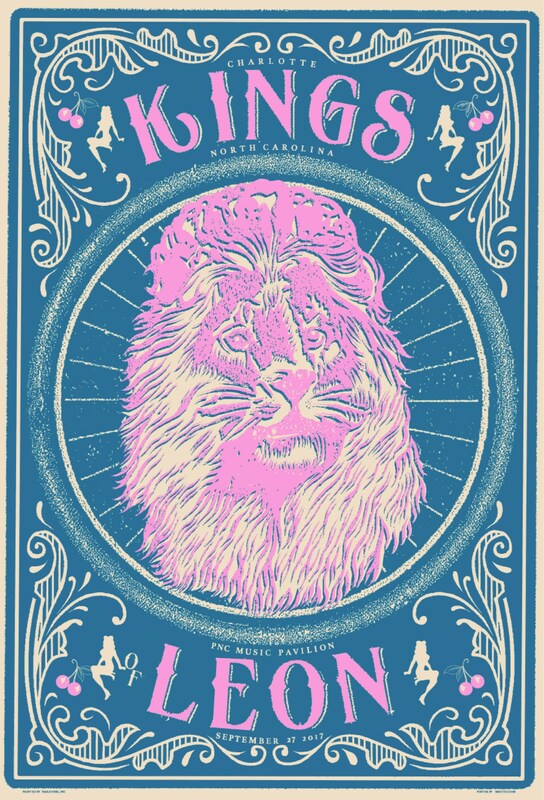 My official poster for the Kings of Leon show in Charlottle, NC September 27, 2017. 2 color screen print measuring 12x18 inches and is part of a signed AP limited edition. It’s beautiful! Great visual for a memory of this tour. Took a little while to ship, but worth the wait! Excited to frame this. Thanks!